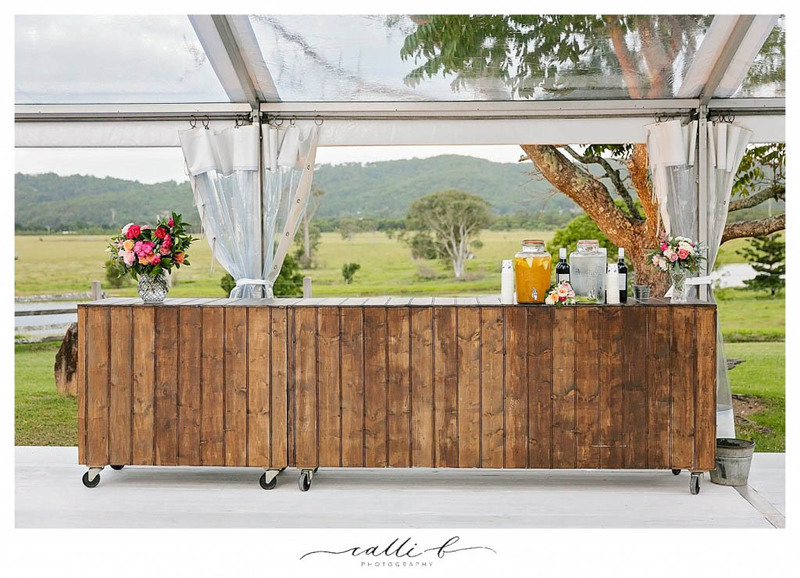 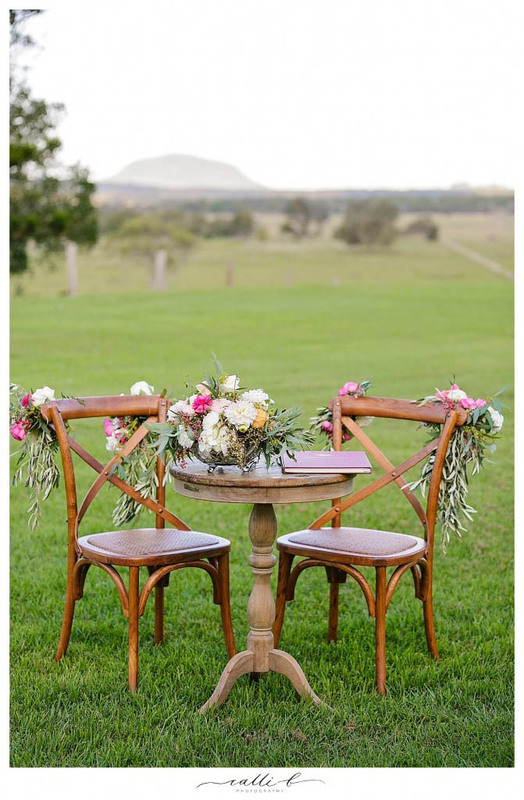 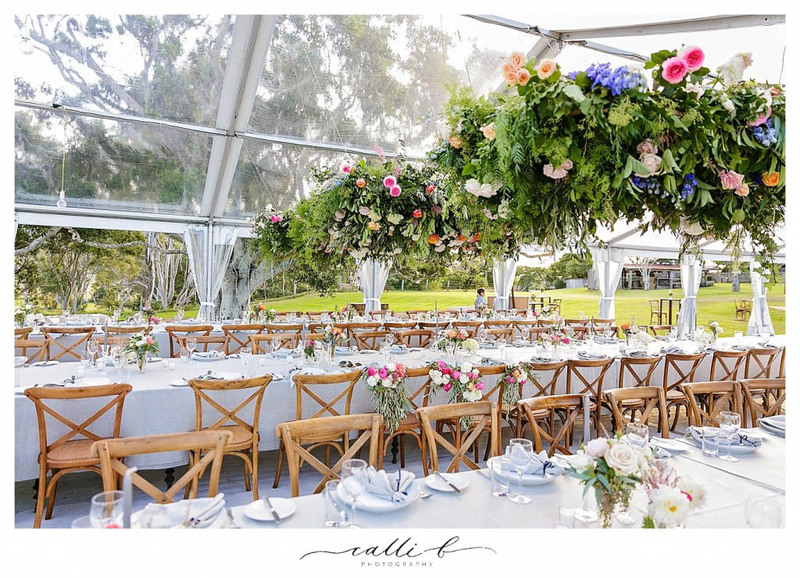 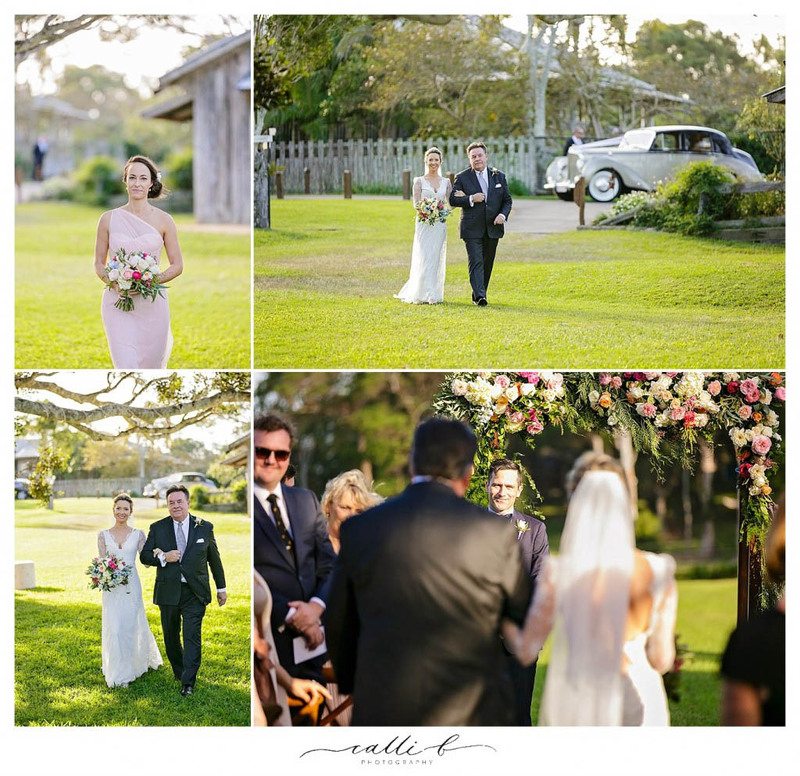 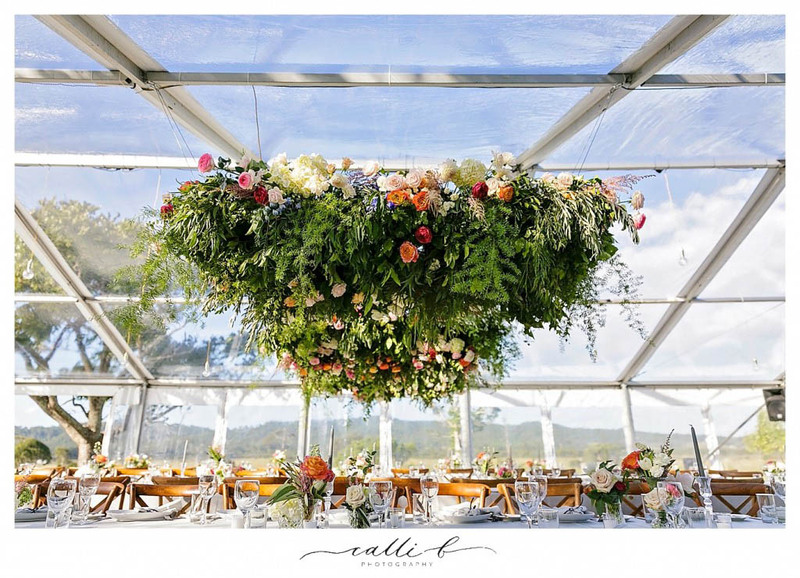 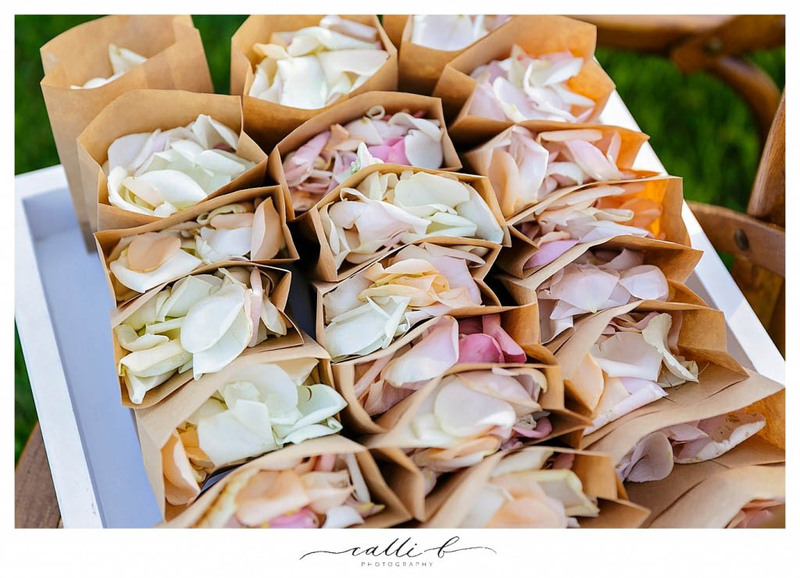 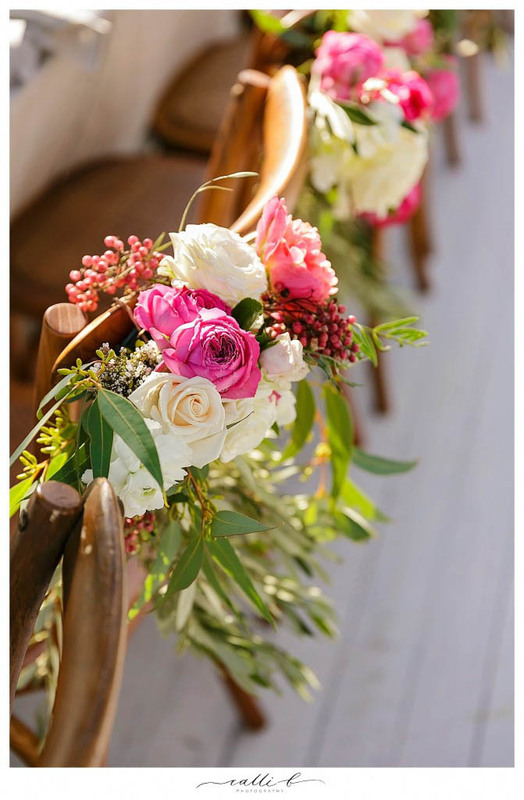 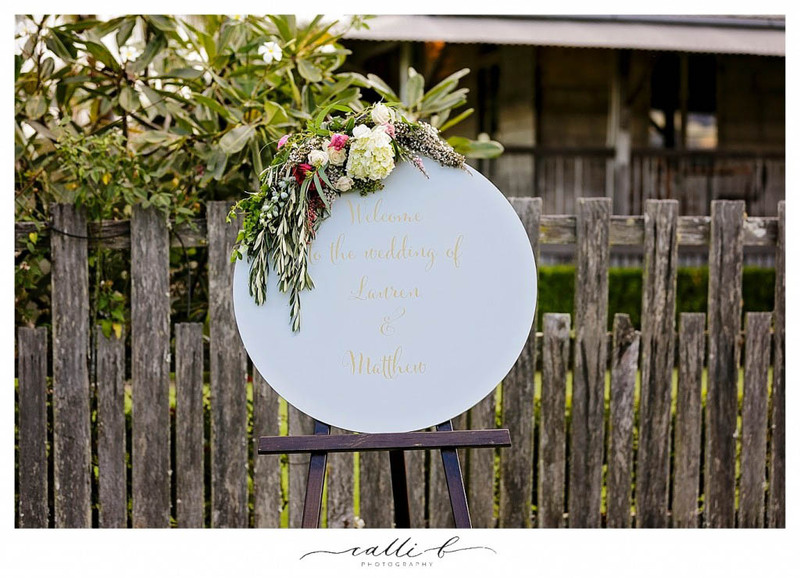 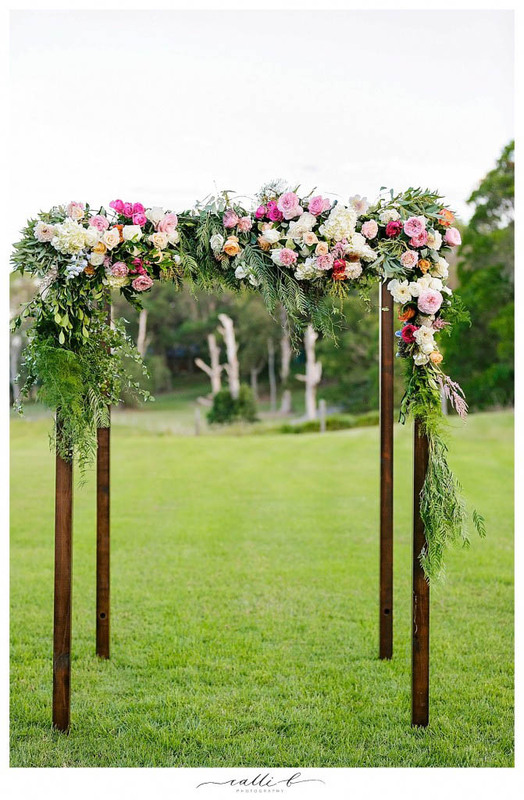 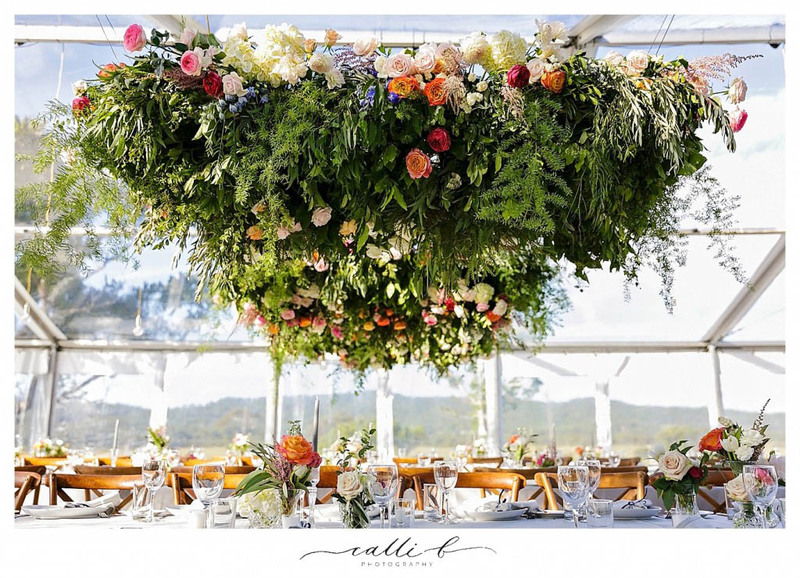 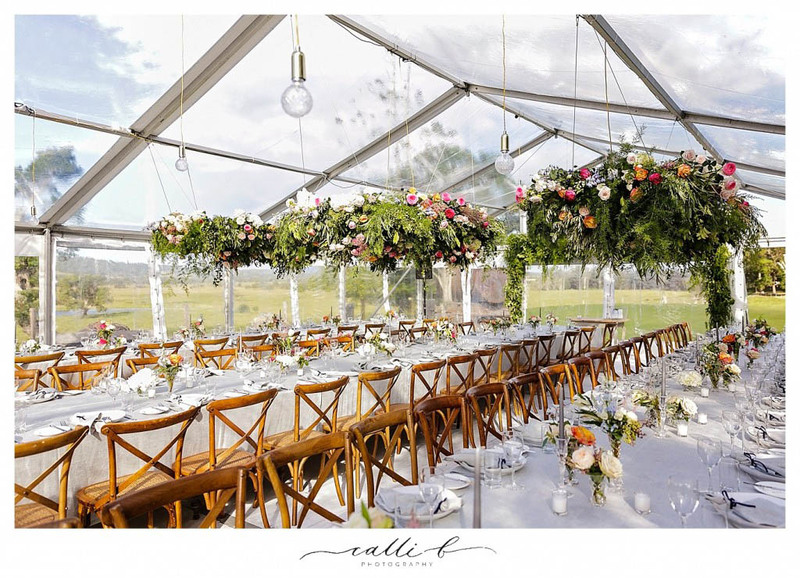 We recently had the absolute pleasure of creating the floral concept for Lauren and Matthew’s Yandina Station wedding. 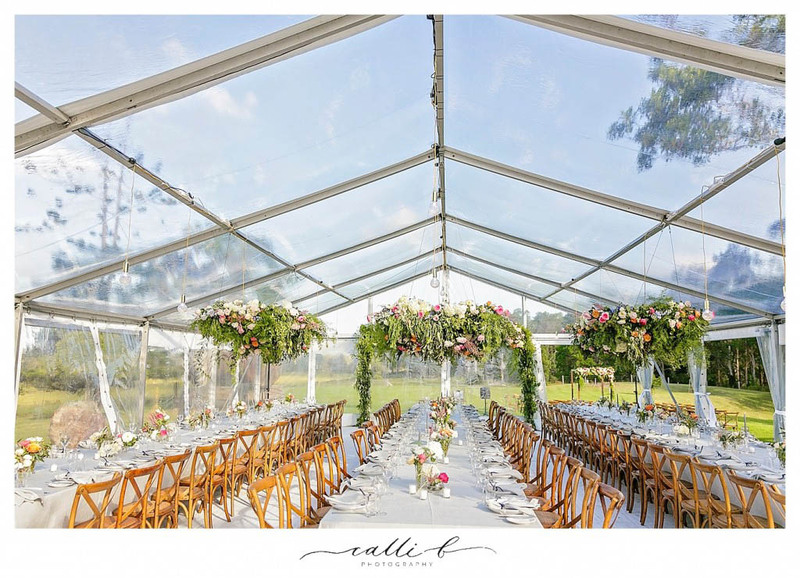 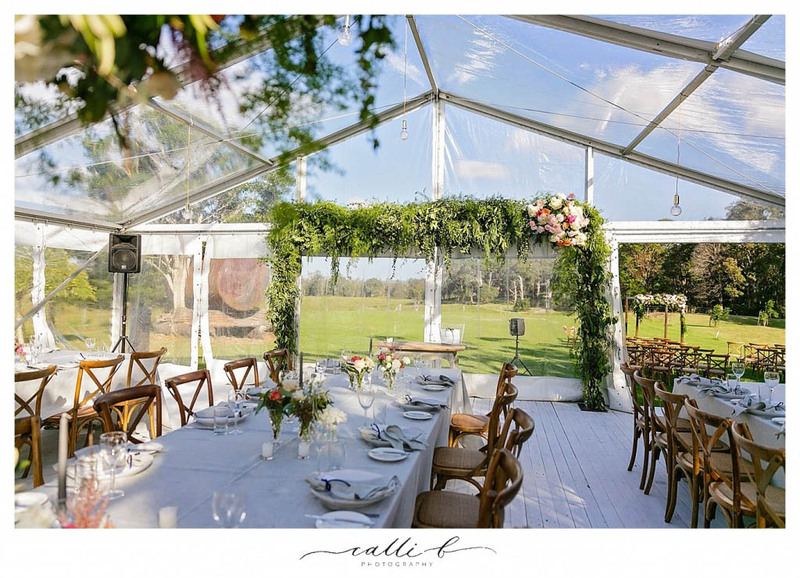 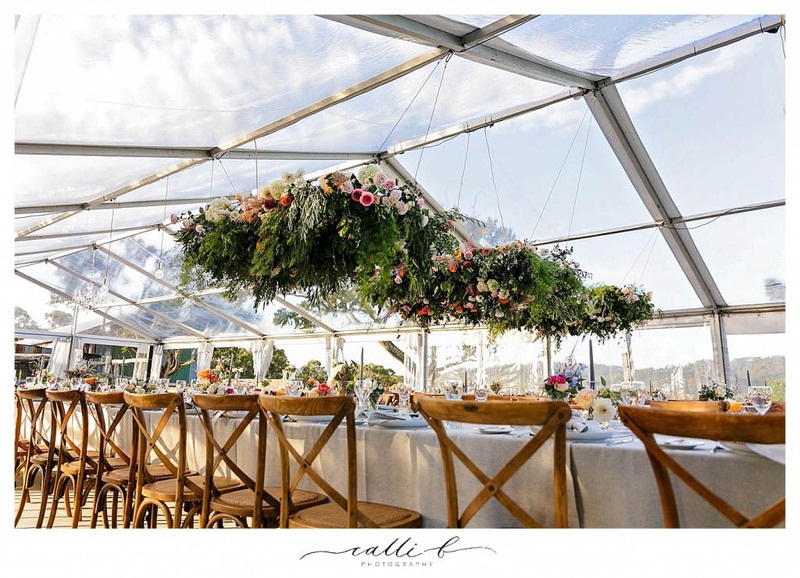 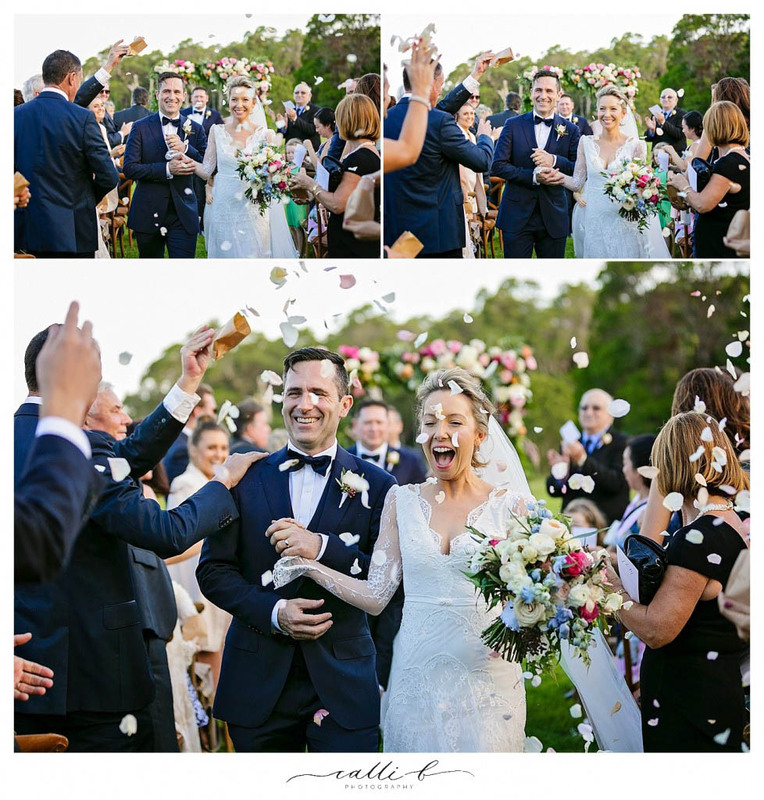 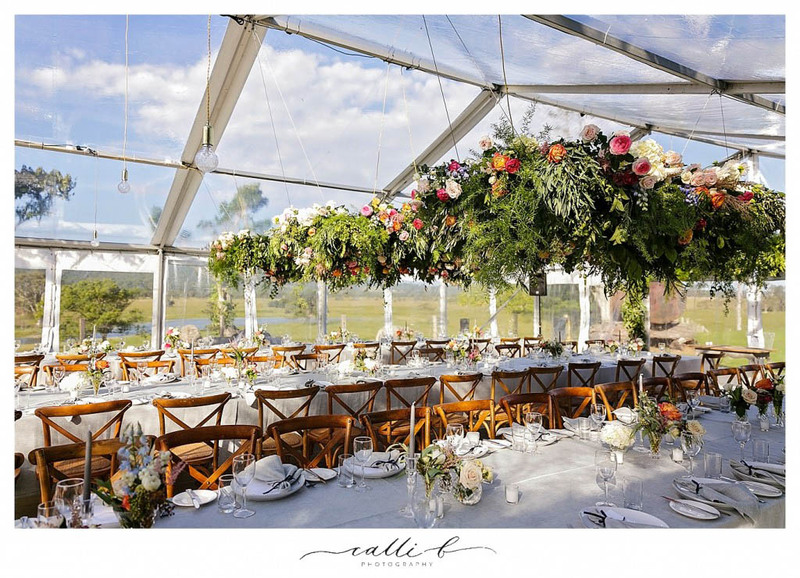 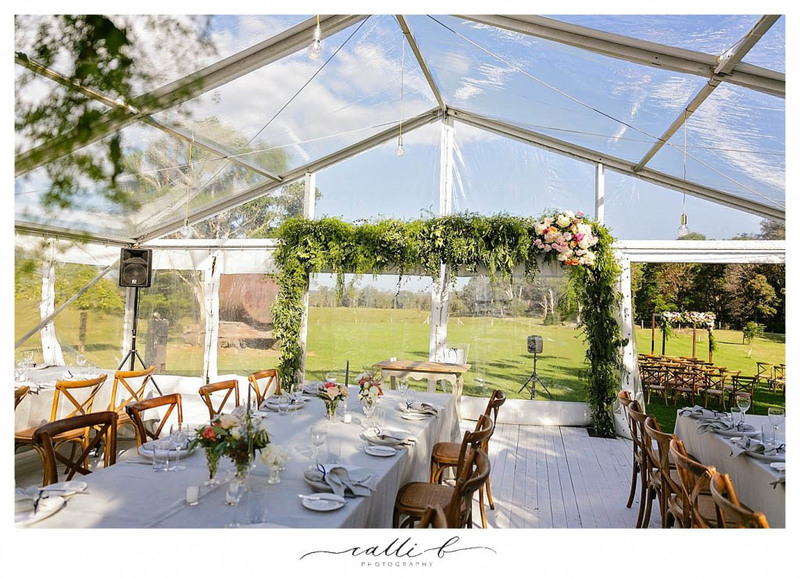 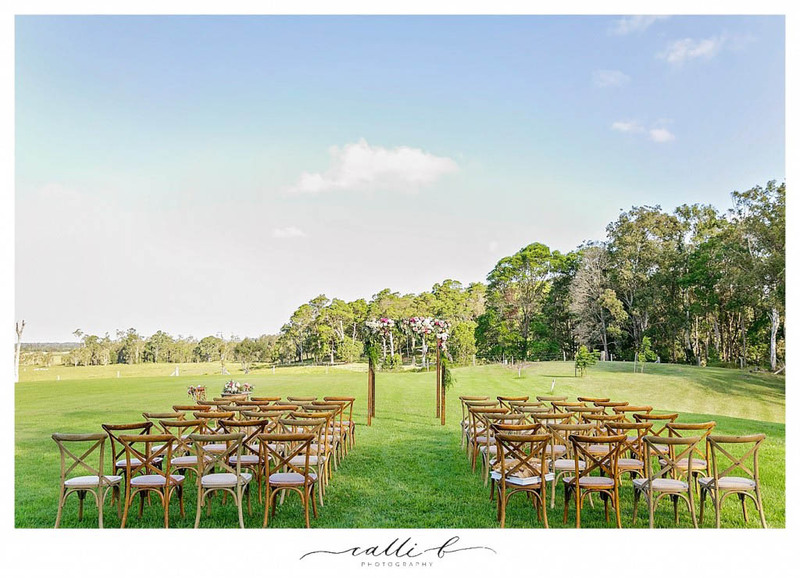 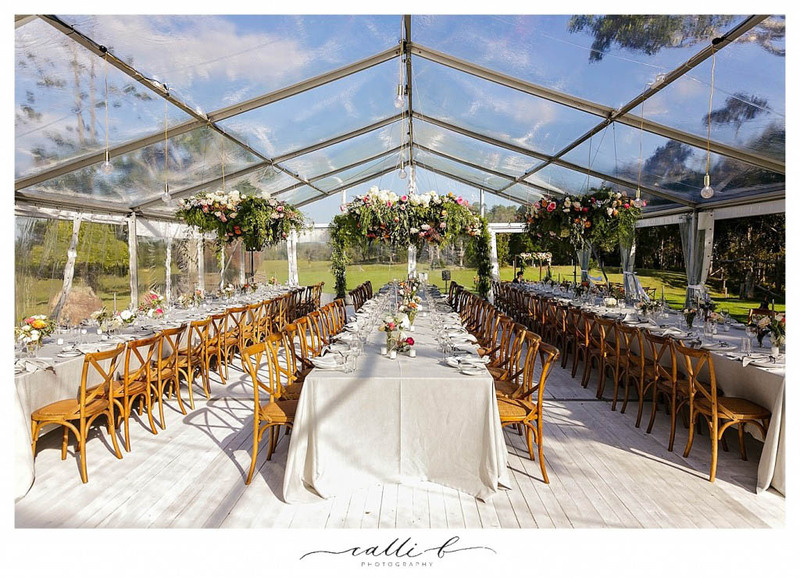 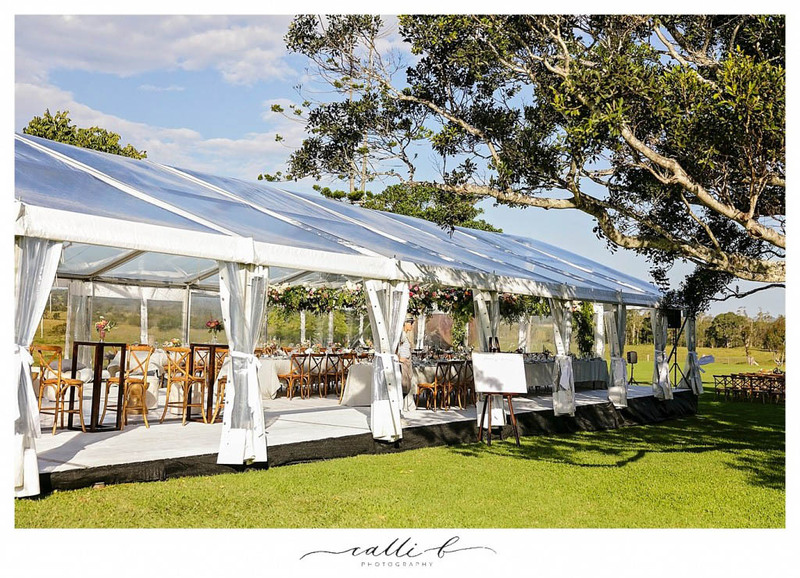 This divine event highlighted modern romance at it’s most opulent level, held under a magical clear marquee against the rolling pastures of this magnificent rural property, Lauren and Matthew celebrated everything that was truly important to them, friends, family, feasting and flowers! 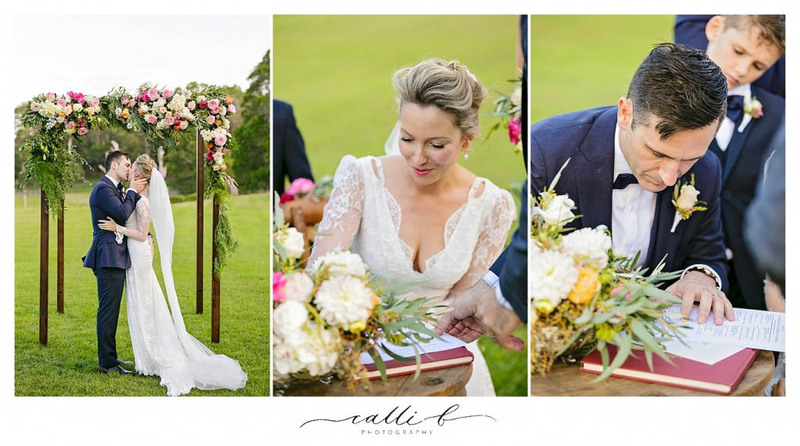 I had the delight of working closely with our gorgeous bride creating a floral concept that reflected Lauren’s style of modern vintage with an elegant country twist. 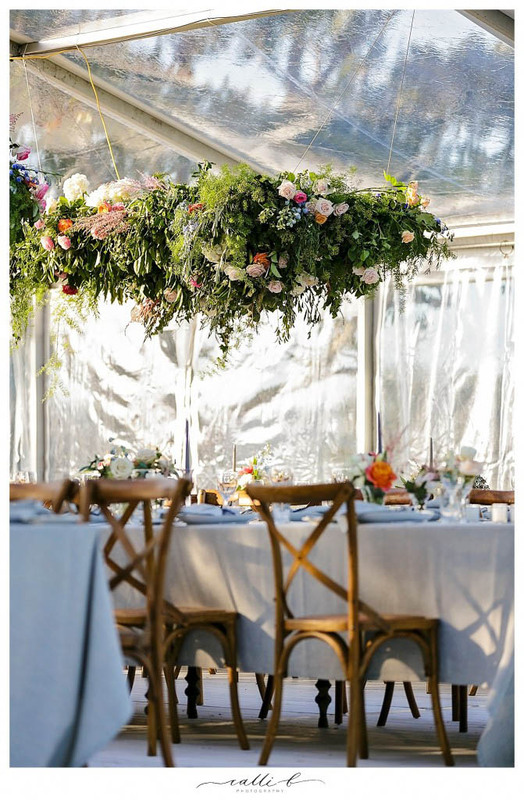 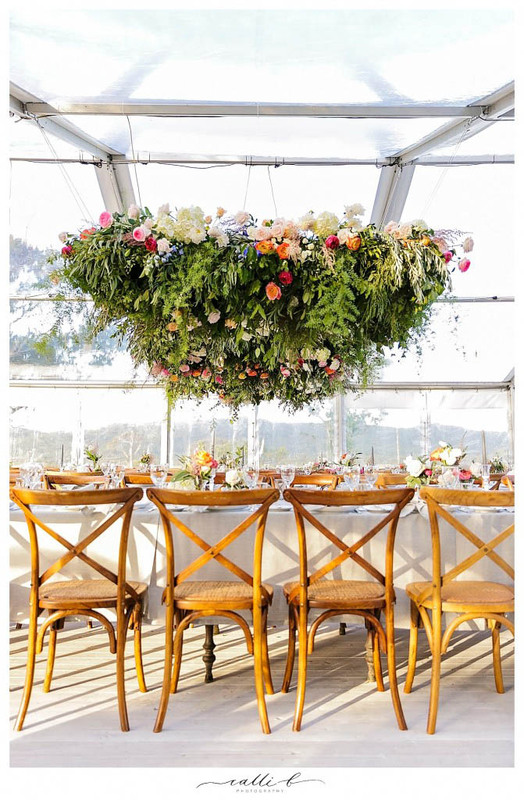 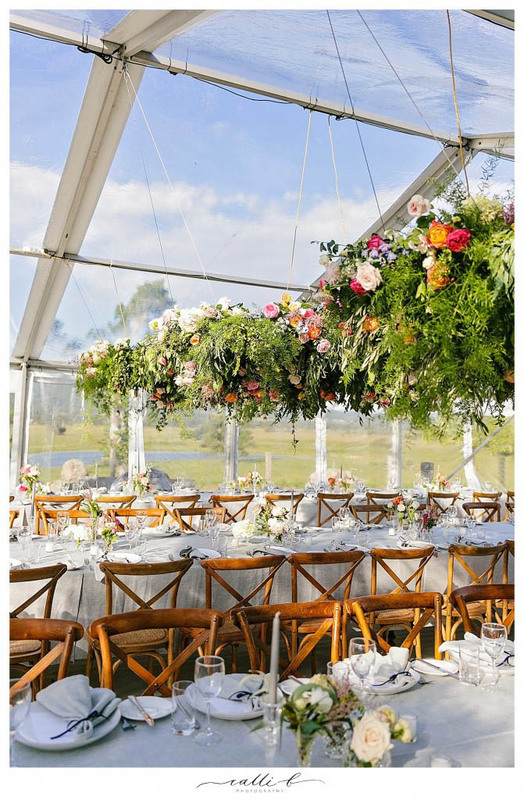 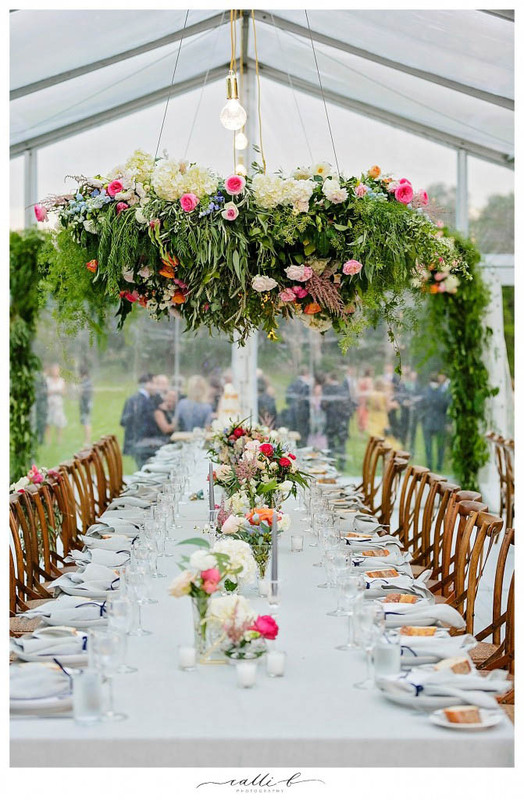 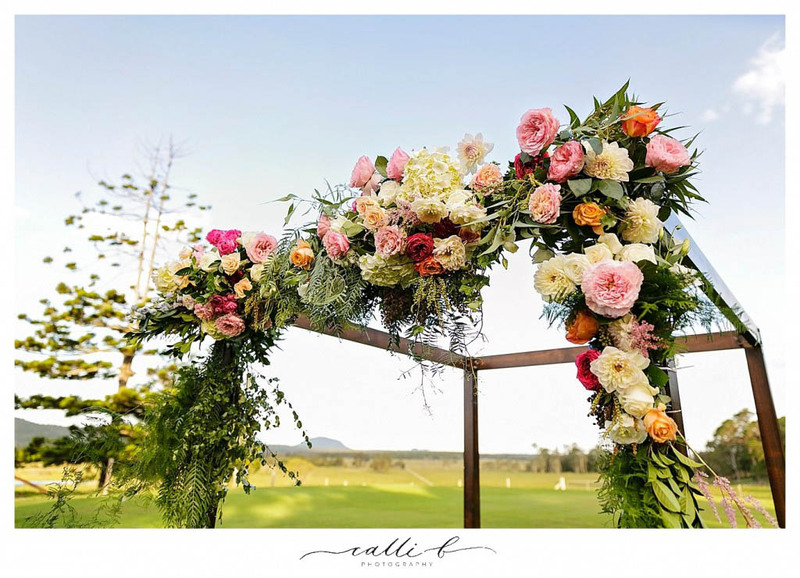 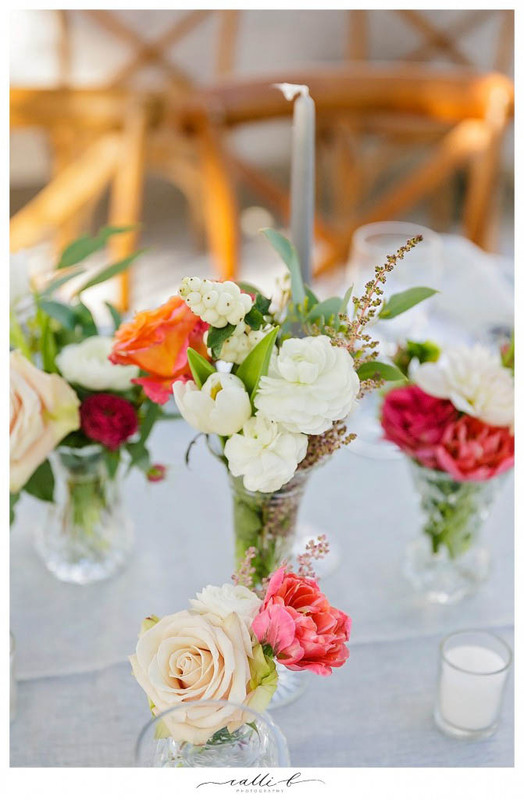 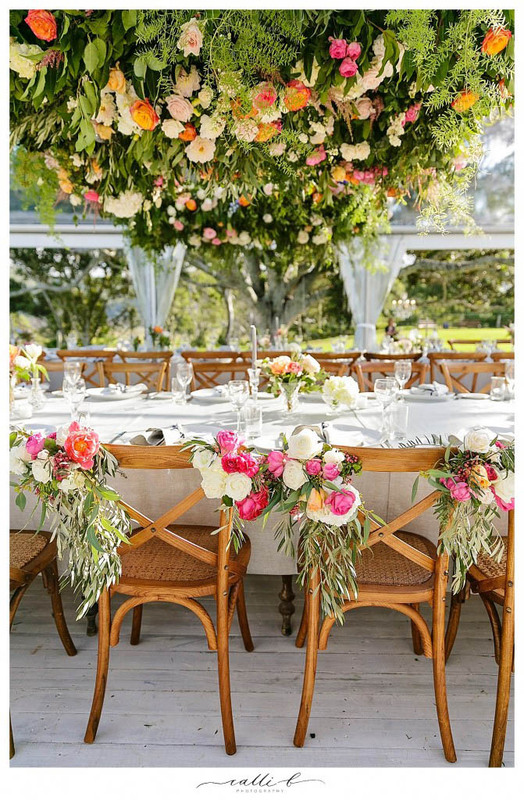 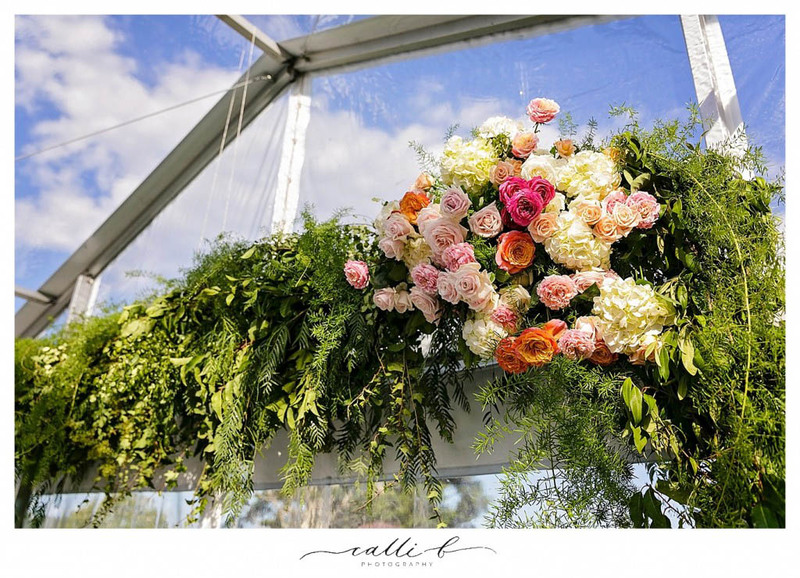 It was a true delight creating the floral concept that showcased a base palette of white ivory and cream with pops of coral, fuchsia and peach, and included some of our most loved blooms in combination with textural foliage’s, flowering fillers and rustic greenery. 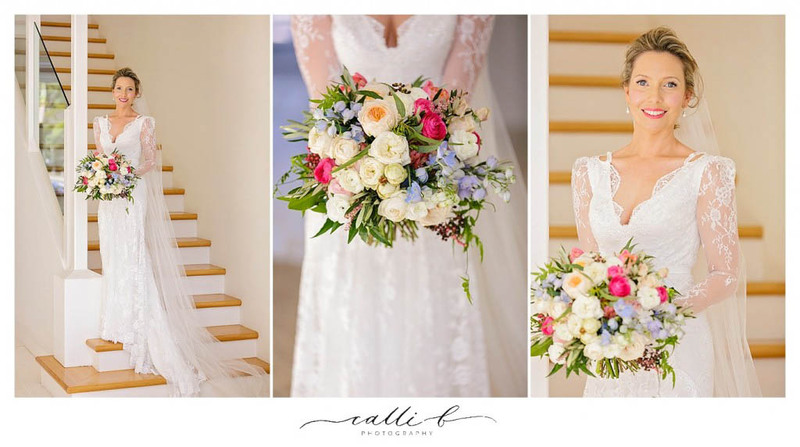 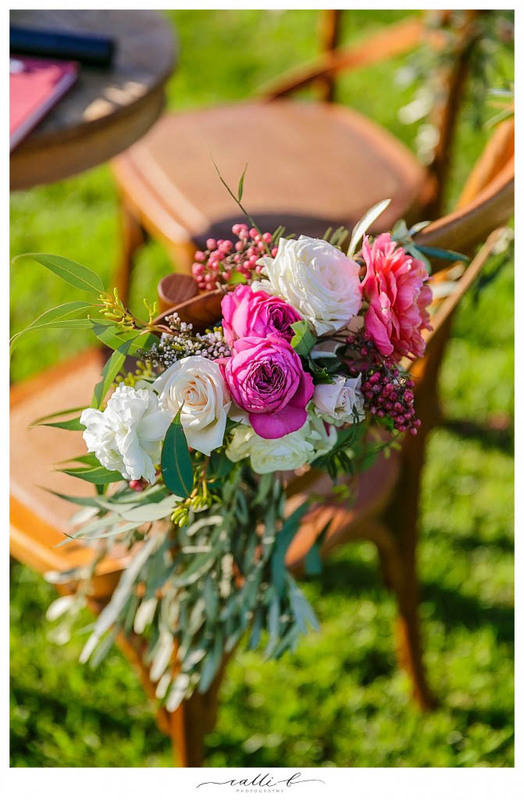 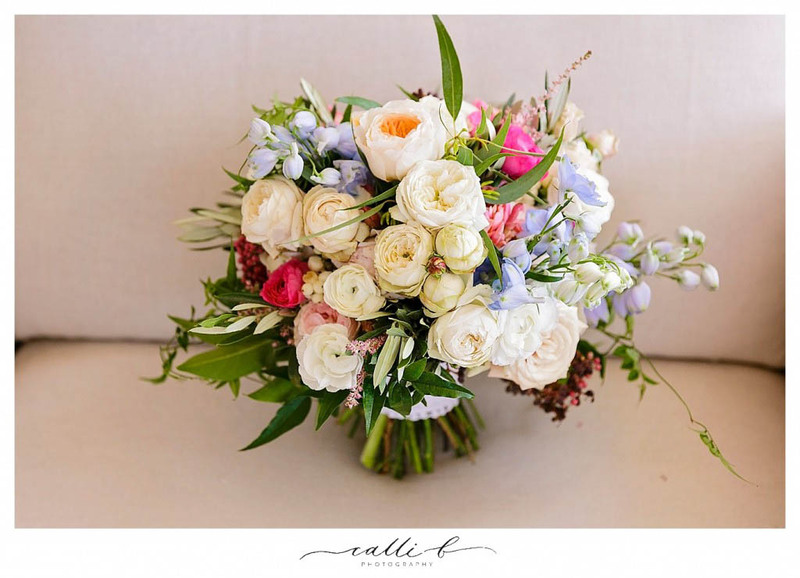 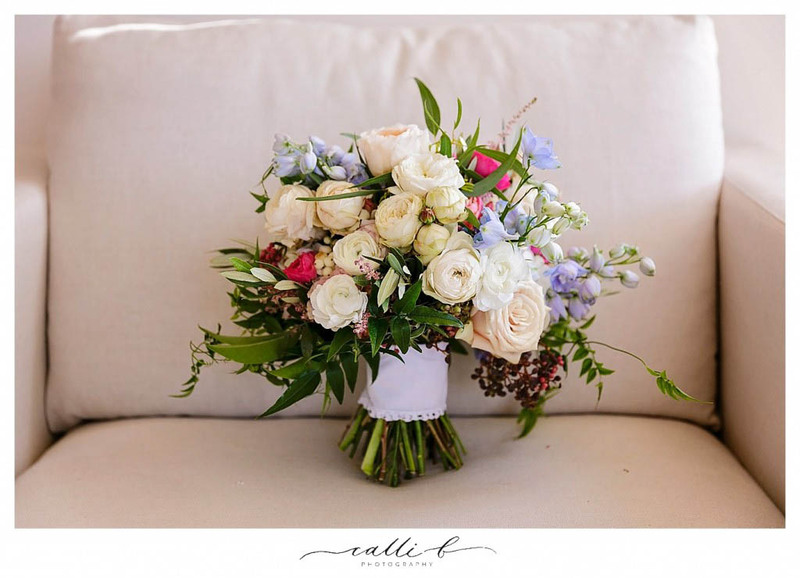 Lauren’s wedding bouquet featured David Austin roses, hydrangea, cluster roses, double tulips, delphinium and a collection of beautiful textural foliage’s. 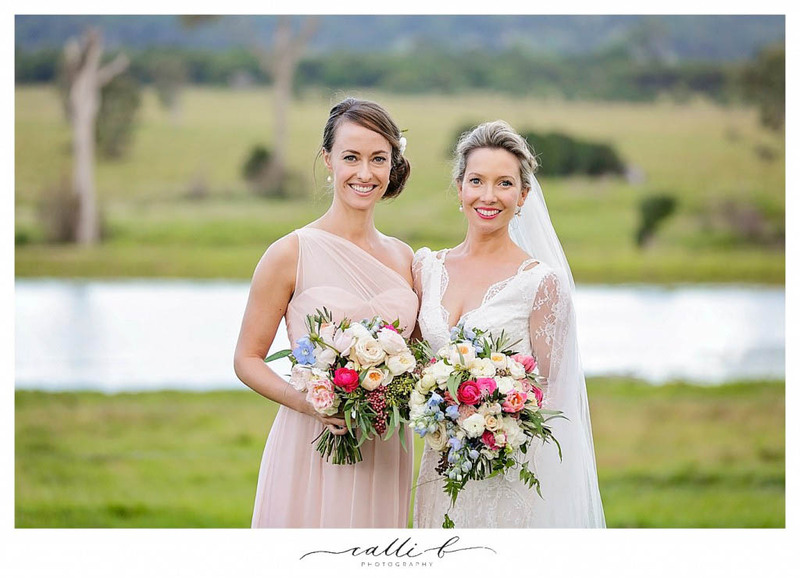 The bouquet was the final touch to Lauren’s stunning look and with the very best of the best working on this wedding, including gorgeous make-up styling by Pru Edwards and stunning hair by Hair by Nicola, these styling elements combined perfectly to create an effortless modern wedding style for this divine bride. 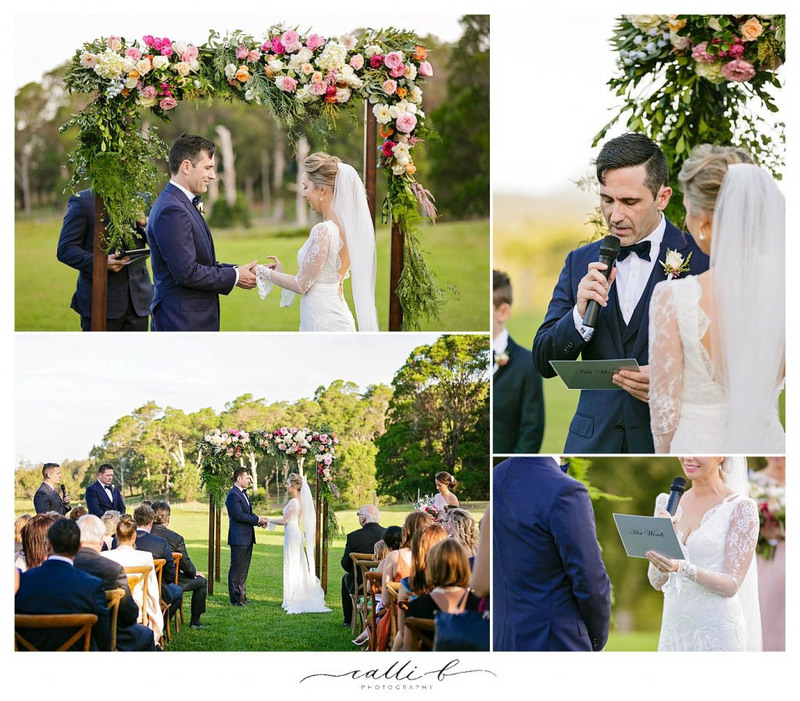 Lauren had a big focus on flowers and styling for her and Matthew’s big day, and as you will see by the following images, we loved the opportunity to deliver her the WOW factor with sophisticated florals taking center stage. 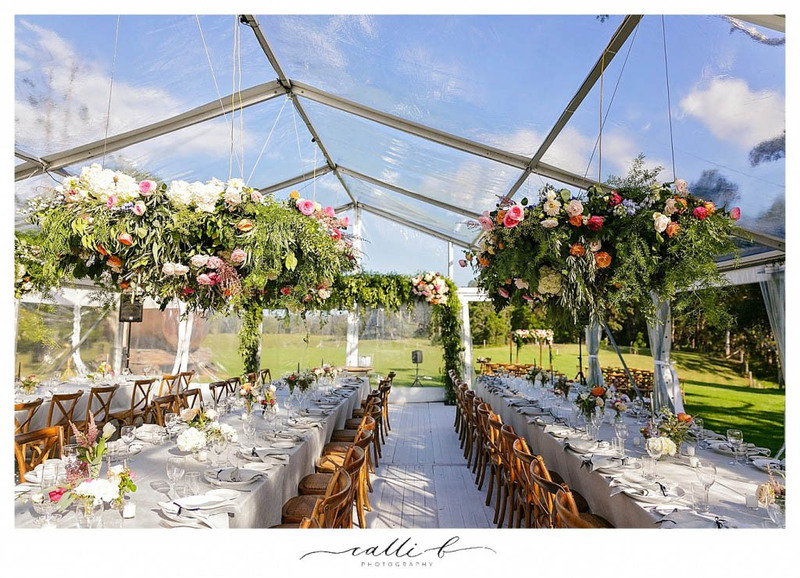 Alongside the team from CL Weddings and Events we transformed the ceremony and reception space into a scene of gardenesque grandeur. 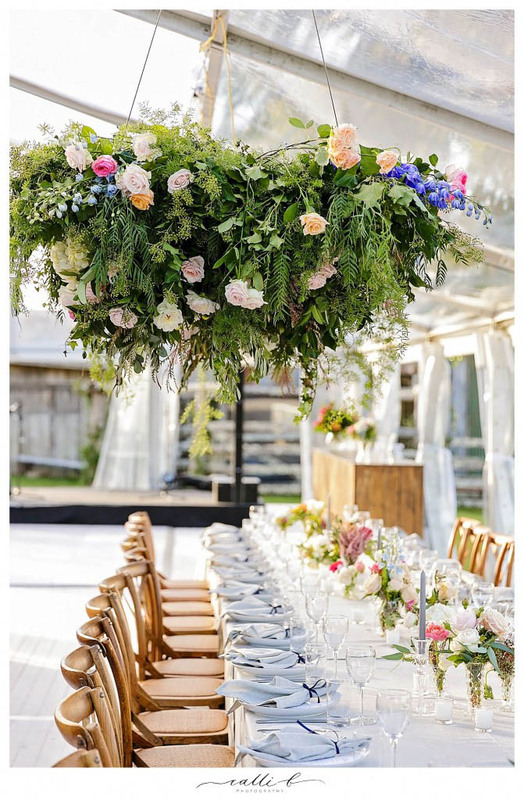 The ceremony featured a whimsical floral feature that we designed on the elegant timber canopy provided by CL Weddings and Events, surrounded by gorgeous timber chairs, and placed perfectly beyond the reception area on the gorgeous pasture, the pops of pretty colour on the wooden ceremony structure, made a beautiful impact among the rustic country space. 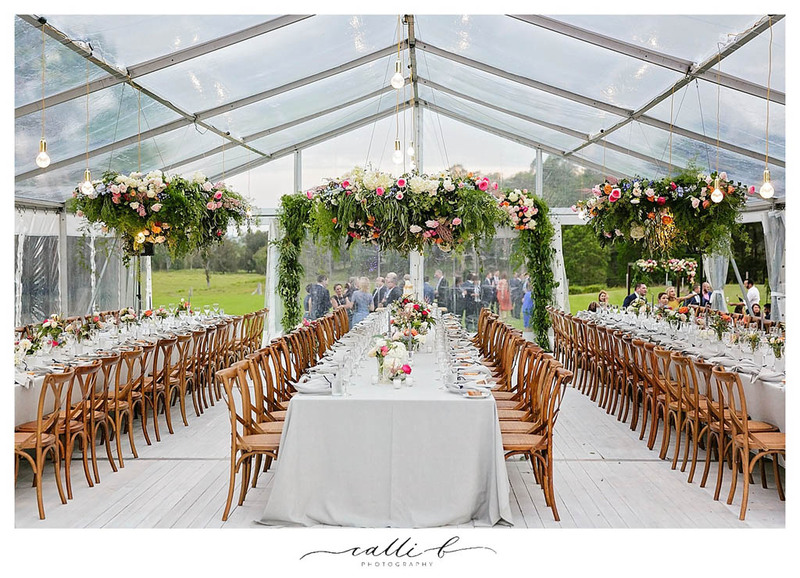 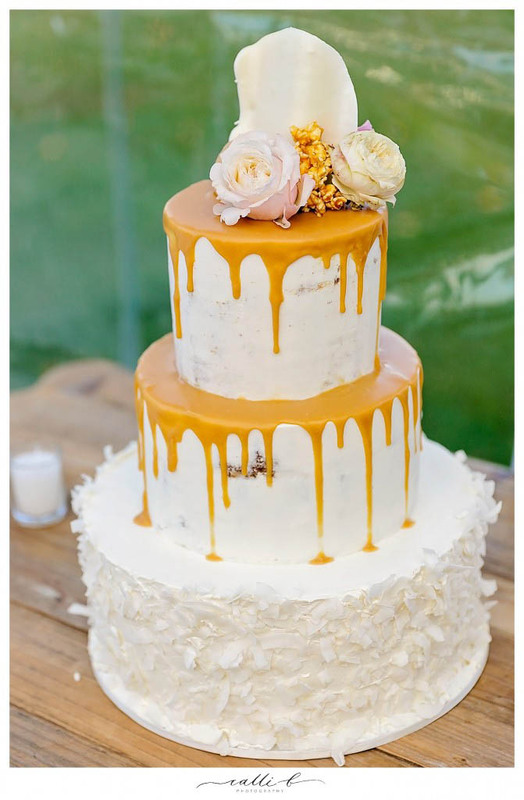 The reception awaited and the beautifully styled marquee was quite the talking point! 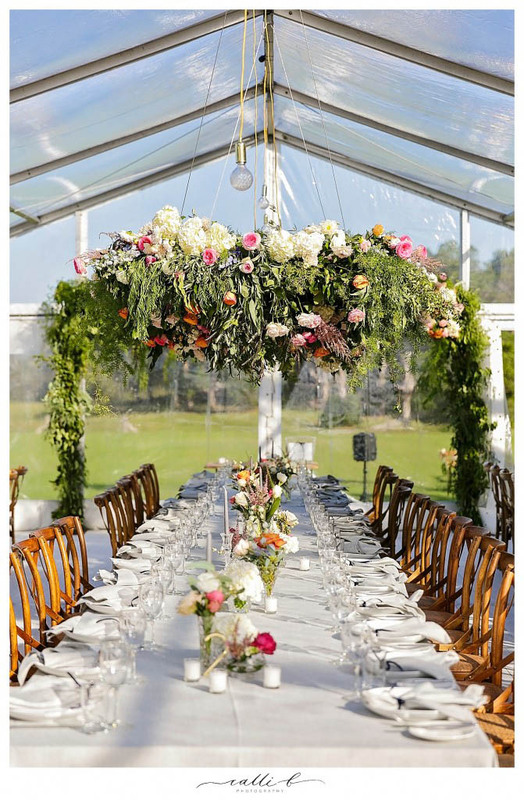 The highlight of the marquee was of course the 3 hanging floral installations suspended from the roof-line and then delicately balanced over the long feasting tables, our floral installations highlighted the modern romance of the styling concept and worked beautifully with the touches of timber and the divine decor, lighting features suspended from within the Garden of Eden. 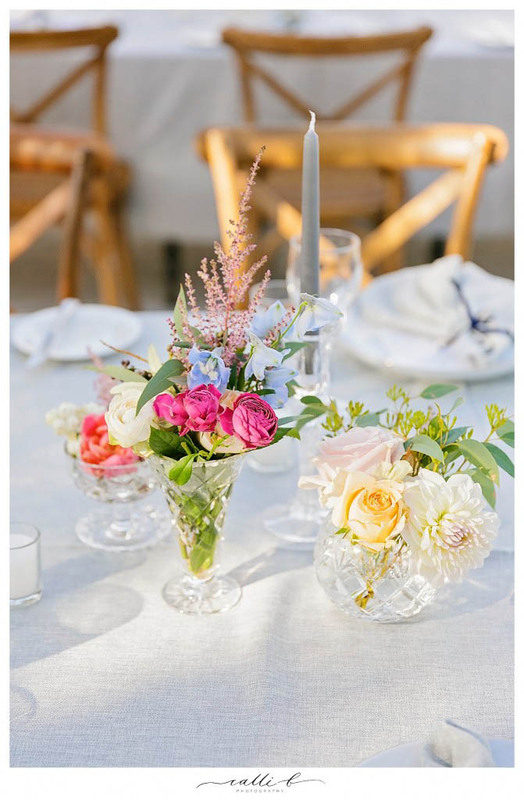 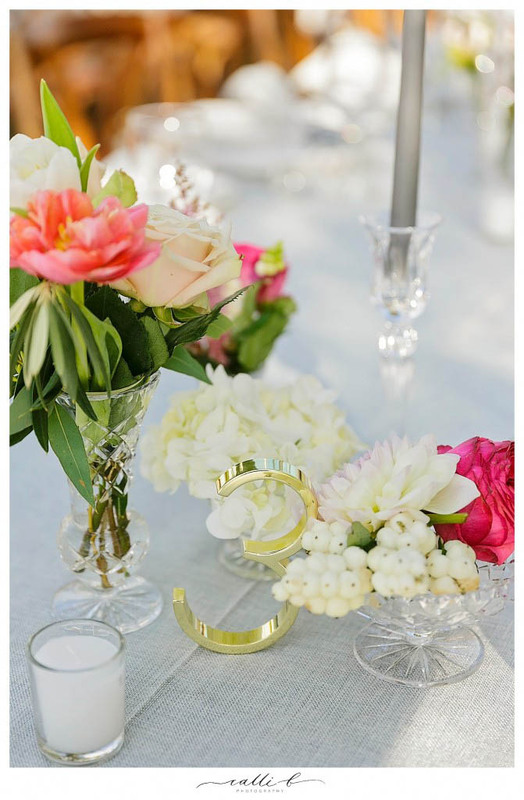 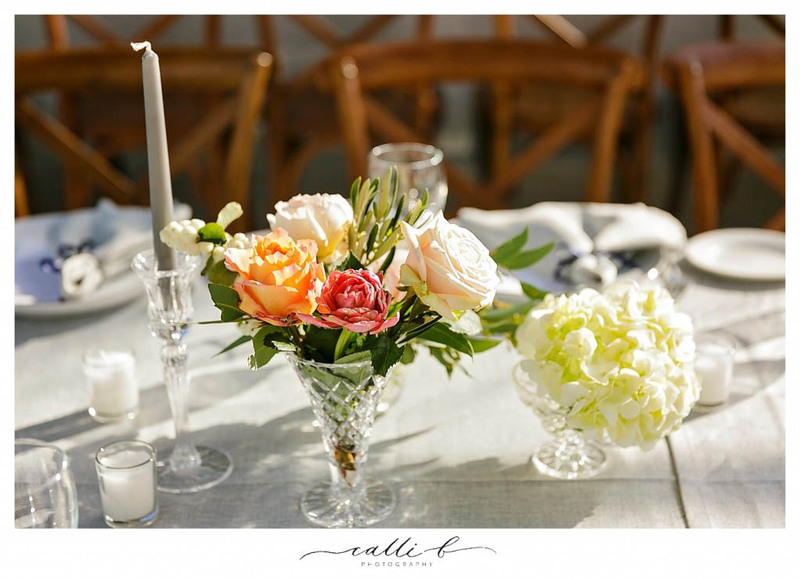 The tables also featured clusters of our antique crystal vases with pretty floral designs that were scattered down the tables, and the gorgeous pops of colour accented the dove grey linen and the ambient candle decor beautifully. 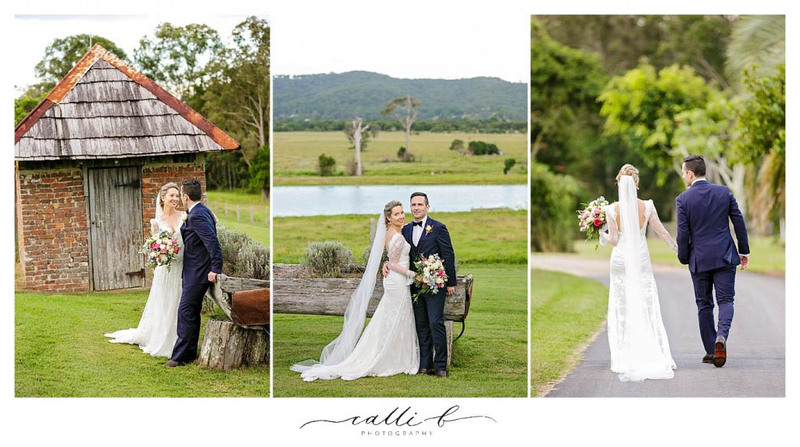 It was an absolute pleasure being part of this gorgeous couples day, it was over 12 months in the planning, and a delight working with Lauren to create this spectacular concept, was a true delight to be involved in, as you can see by these beautiful images by Calli B Photography Lauren and Matt’s wedding day was a wonderful showcase of modern romance with divine details, fabulous flowers and plenty of style!